To quote another, let’s give it to ’em… right now..
Here’s a very special LOUIE shared online by Green Monkey Records of Olympia, Washington. Ladies, and gentlemen, I present to you…Tom Dyer’s New Pagan Gods! You can hear and order Tom’s version of LOUIE LOUIE by clicking here. 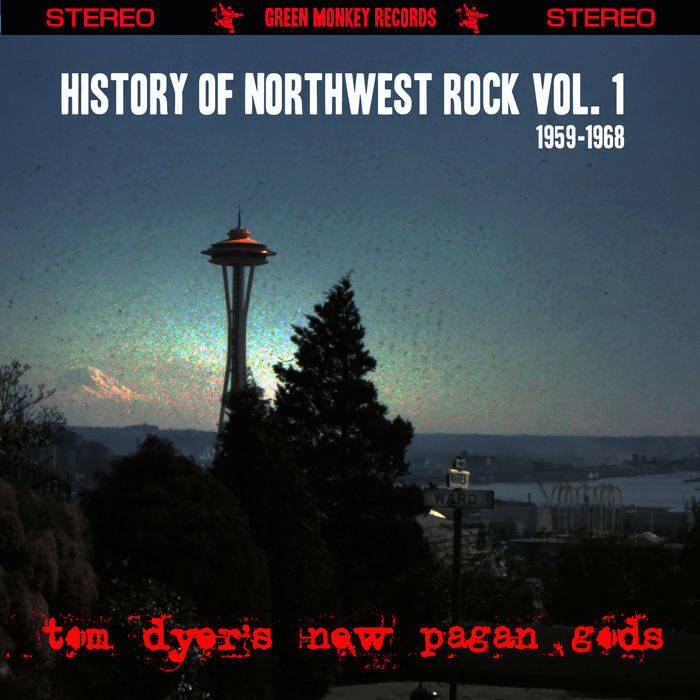 Purchase of the album includes unlimited streaming of History of Northwest Rock Vol. 1 (1959-1968) via the free Bandcamp app, plus high-quality download in MP3, FLAC and more.